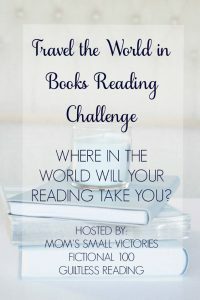 ← Travel the World in Books Readathon–Wrap-up of Activities and Gratitude! This entry was posted in Literature, Nordic Noir and tagged Book Reviews, crime fiction, Nordic Noir. Bookmark the permalink. I think you’ve captured me! Going to go look it up on Amazon. Oh good! Hope you like it. Although there is indeed crime information, no graphic violence description–mild, it seemed to me, compared to what’s out there now. Focus is on the characters, their motivations, and the logic of events. Excellent review–I didn’t know of Nordic Noir, but now I’m totally interested. I like the idea of social commentary mixed with puzzle-solving, and the cast of detectives sound well-rounded, realistic, and interesting.